You’ve heard of foodies going on culinary-focused vacations and baseball fans trying to visit every stadium in America. So, if you’re into cannabis, it makes sense to flock to a marijuana mecca for a chill vacation. Here are 5 destinations perfect for pot lovers. (Oh, and growers, you might not want to Bring Your Own Pot. Get the 411 on traveling with weed). Consider it a double-entendre that this place is nicknamed The Mile High City. Yup, it really sits at 5,280 feet in elevation. In fact, there are some seats within Coors Field that are specially designated because they are exactly a mile high. Colorado became a pioneer in marijuana legalization, when voters passed a 2012 measure to legalize pot. Denver is also ironing out policies after another little initiative passed last year: allowing people to smoke in certain restaurants and bars. Here, cannabis tourism is thriving. Go on guided marijuana tours. Get a cannabis-infused massages (nope, they won’t get you high). Or get artsy by taking a Puff, Pass & Paint class. Of course, no need for a completely scripted vacation. Drop into a dispensary and pick up some pot or edibles, or even hire a cannabis concierge. Turndown service in a hotel might include a chocolate gingerly placed on a pillow. When you stay at a Bud and Breakfast (think of it as an Air BnB for marijuana lovers), you just might find a joint on your pillow. Uruguay — a highly underrated South American vacation destination and marijuana-legal since 2014 — is filled with pocitos (AKA beaches), art deco architecture and tango in the streets. Rooms available for rent in Uruguay and via Bud and Breakfast start at just $18 a night. 3. Seattle, Washington: Smokeless in Seattle? 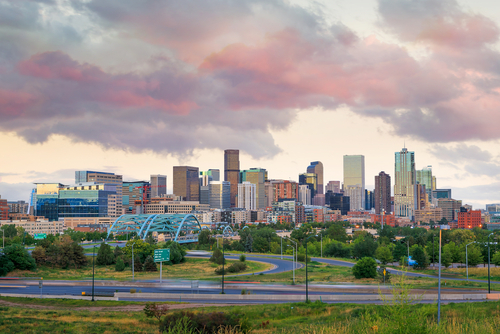 We’ll be completely honest here: When it comes to cannabis tourism, Denver > Seattle. Pot use laws in Washington are much more conservative and you’ll find far fewer hotels and Air BnB’s advertising as 4/20-friendly, thanks to red tape. But, still Seattle is worthy of this list because it’s a cool city with great coffee. And well, there’s kind of an unofficial “don’t ask, don’t tell” policy when it comes to getting high in hotel rooms or on tour busses. (I.e. indulging in edibles might be the best route since they’re more discreet). Enjoy famed Pikes Peak Market and Chihuly Garden and Glass or seek out the pastoral retreat that is Puget Sound. Really, you could put anywhere in Canada on your marijuana bucket list, but save it for mid-2018 or so, when legal sales will begin. Prime Minister Justin Trudeau is following through with a campaign promise to legalize marijuana for recreational use, making it the second country in the world to do so. (Uruguay was the first). In Toronto, you’ll find cannabis cafes and vape lounges where pot-smoking is social. A popular one? Hotbox, which offers board games and videogames for free. Pool is just $1/game. No weed-friendly destination list would be complete without mention of this trailblazing city. Travelers 18 and up can imbibe in the famed Amsterdam coffeeshops and buy up to 5 grams of weed. Between coffee shop kick-backs, visit the Van Gogh Museum or Vondelpark, perfect for outdoorsy types, built in 1850.